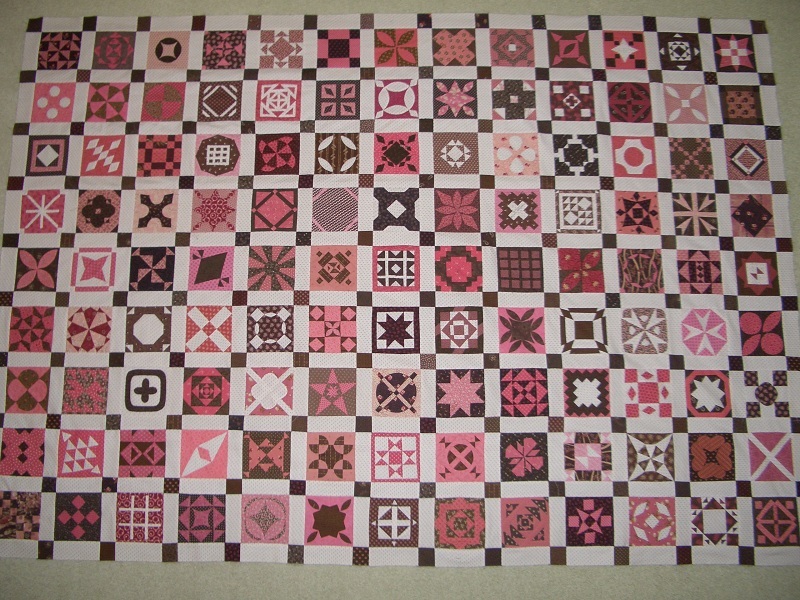 Have finished 9 rows of my Dear Jane Quilt, and have two more almost complete and ready to add. 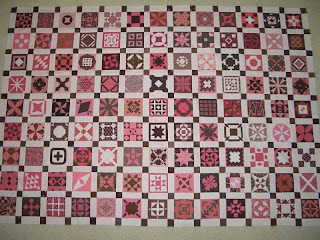 My goal is to have finished, quilted and bound before I head off to Asilomar on March 25th to attend Brenda's Dear Jane class. I will be starting a new Dear Jane in Red/White/Blue at this class. Don't you just love all these little blocks! No progress on the Jeweled Forest- will have to wait until the Jane is complete. What will you be working on this week? Check out all the other Design Walls at Patchwork Times. Your DJ is beautiful, Pink is my favorite color. That quilt is looking beautiful, Mom! I can't believe you're almost finished with it. Oh My! Dear Jane is beautiful, when looking at it, my eyes travel from one great block to another. Great job.